Respawn’s work on Apex Legends should be praised for an array of different things. Its gunplay is the best I’ve seen in the genre so far, for one thing, and the character-based approach does add an extra element to the battle royale. But what’s also worth praising is its sense of diversity. The eight-strong roster features three women (including two women of colour) and a robot. Of the four remaining characters, one, Gibraltar, is of Polynesian heritage. But Respawn has also revealed that two of the game’s characters are LGBTQ. This is, of course, not the first time that a hero-based game has revealed its characters’ LGBTQ background. Blizzard revealed Tracer’s girlfriend in a comic some years ago, and recently made clear that Soldier: 76 is gay. The developer has, however, received criticism for adding in this information retroactively, rather than including it in the game from the outset. Other games have done a slightly better job in recent months, as League of Legends developer Riot revealed that recent roster addition Neeko is canonically gay. But with more than 140 characters on offer, and only one openly confirmed as a member of the LGBTQ community (despite what players may think about Taric and Ezreal), Riot could still be doing more. 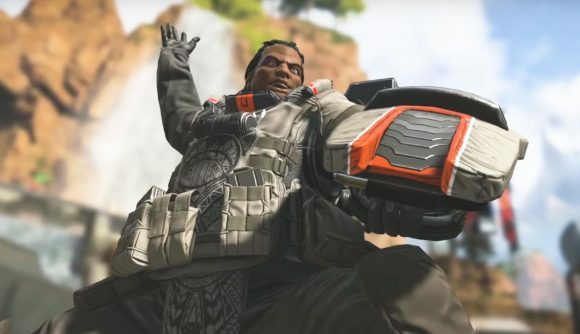 Apex Legends has got off to a flying start – racking up more than 2.5 million players in very little time at all. To help you secure your first place finish, you can check out our Apex Legends characters guide. My tip? Just make sure you don’t do what I did, and lob a grenade while you’re still inside Gibraltar’s shield.